All accepted papers and posters are published in the conference proceedings, deposited online in the CEUR workshop proceedings publication service at http://ceur-ws.org/Vol-2030/​, from where they are permanently available and citable. Selected papers (after being properly modified) have been published in the following two collective volumes, that have been published by Springer. 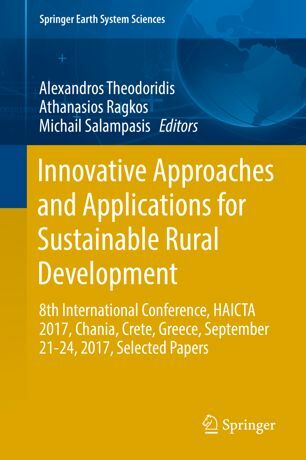 The one titled "Information and Communication Technologies in Modern Agricultural Development" and the other "Innovative Approaches and Applications for Sustainable Rural Development". 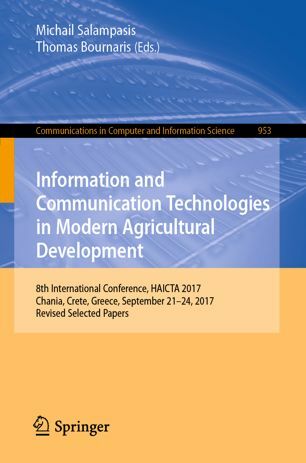 For a limited time all participants can access for free the "Information and Communication Technologies in Modern Agricultural Development" volume by clicking here.